What is Art Deco Style? 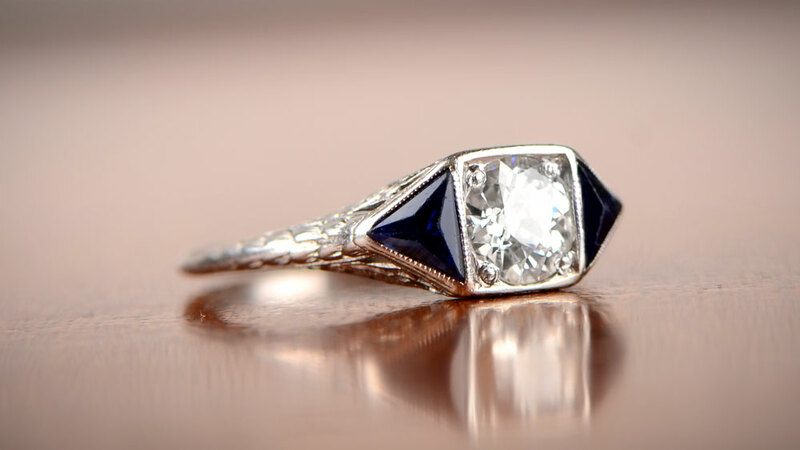 What does an Art Deco Style Vintage Engagement Ring look like? And when and why did Art Deco become so popular? The Art Deco period was one of the most productive, even revolutionary, periods in design history. Before it had come Art Nouveau, a style full of natural motifs and gentle curves and swirls. Art Deco, however, belonged squarely in the age of the machine. Taking its cue from the industrial winds of change, it brought symmetry, lines, corners, even thinly veiled aggression to everything from furniture to buildings. The jewelry designers embraced Art Deco wholeheartedly and produced pieces which still resonate with buyers and collectors today. Art Deco really is the style that just won’t go away. Art Deco takes its name from the Exposition Internationale des Arts Décoratifs et Industriels Modernes, held in Paris in 1925. However, what we now call Art Deco pieces had been produced for about a decade or so before. It’s not clear where the style truly originated, but both French and Belgian art has been discovered which dates back to around 1905. It’s unusual that it took another 20 years for the style to really catch on. It wasn’t until the release of a book during the 1925 exposition that demand for Art Deco soared. The book, by architect Le Corbusier, attacked the colorful, busy designs at the exposition. He demanded that modern decoration, in fact, needed no decoration at all. This went against all the fashions of the day and opened a debate that has lasted to the present day. Despite the upsurge in interest brought about by Le Corbusier, the name Art Deco still wasn’t widely used. Many different styles made up what we now call Art Deco. It wasn’t until the 1960s that the term became accepted as an umbrella term for items from the 1920s and 1930s. What Makes Something Art Deco? With influences from the world around, plus from the early movements like Cubism, Art Deco took the gentleness of Art Nouveau and kicked it out into the street. Instead, a new world style order was taking over. Symmetry, sharp angles, points, blocks, they all became part of a movement which still influences us today. Geometry was suddenly the “in” word. Not just on the drawing boards of architects, but also of jewelry designers. Art Deco principles became a favorite of ring designers, in particular, allowing them to push the design process further than ever before. Triangles, squares, polygons, and even more complex shapes were now being used in jewelry of all types. Colors are usually high contrast – using black and white or similar. Lines are usually everywhere in the design and the entire piece can often be borderline aggressive in its intent. Look around any major American city which had become a metropolis prior to 1920, and you’ll see Art Deco everywhere. 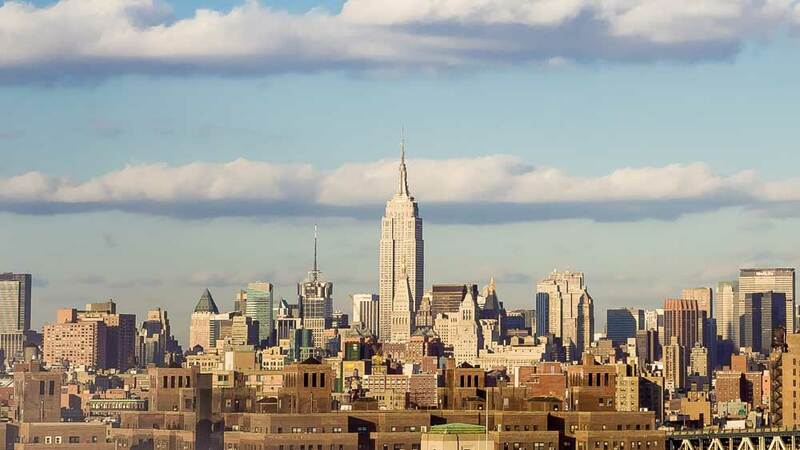 New York, as an example, has many iconic buildings that just ooze Art Deco style and bravado. The Empire State Building, the Chrysler Building, Rockefeller Center and The New Yorker hotel are all classic Art Deco designs. 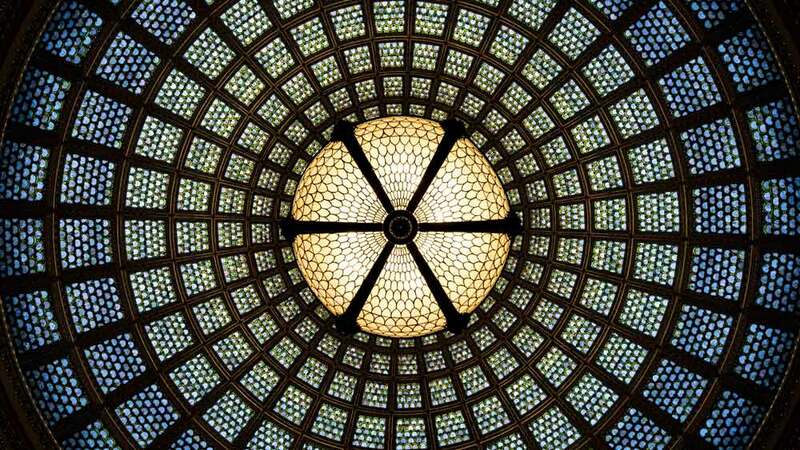 Straight up and down, with perfectly symmetrical designs. Windows laid out like playing cards on a table, exteriors that all take on a stepped appearance, all are nailed on Art Deco elements. Probably the most beautiful example of all is the GEC Building at 570 Lexington. A superb blend of gothic and Art Deco architecture with its wonderfully octagonal brick tower it is, in itself, a work of art. Even the cars of the time took on the principles of the style. The increased awareness of the need for streamlining drove innovation in car design. Everybody from Chrysler to Ford to Mercedes was using Art Deco to get their cars from prototype to production. Almost without exception, Art Deco has influenced jewelry more than any other industry. Still today, Art Deco engagement rings are not just sought after, but also being newly manufactured. Occasionally big, and always bold, Art Deco engagement rings are as popular now as they ever have been. There is little about them that could be described as “delicate”, and yet they carry a timeless elegance which has never been bettered. Cluster rings, pavé and halo rings all exhibit wonderful Art Deco style. 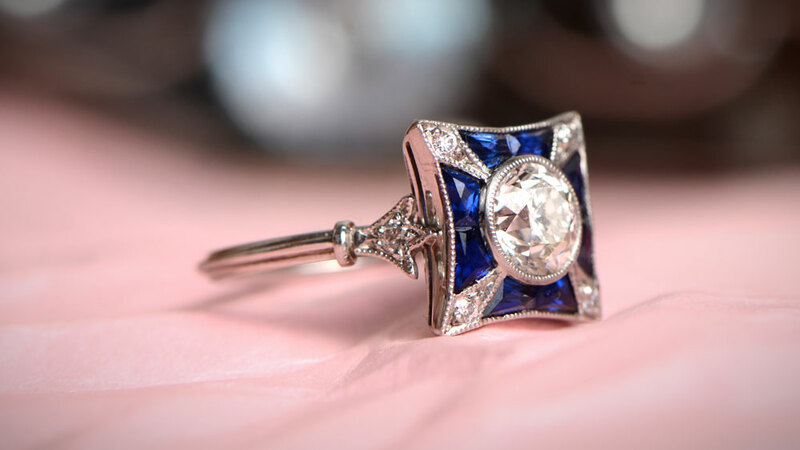 The contrast between diamond and sapphire demands attention. Milgrain and filigree are common, adding depth and interest, but always symmetrically. The intricacy of ring design by the best Art Deco jewelers of the day is simply breathtaking. It is often argued that Art Deco jewelry is not for the faint of heart but for the bold of spirit. But there are pieces which carry themselves with consummate grace and without the full-on approach of a typical ring. That’s part of the beauty of the style, that it can encompass so much within its loosely defined rules. Click here to shop our collection of rare Art Deco Engagement Rings. Designers are still creating Art Deco pieces today in all sorts of industries. As well as jewelers, furniture makers and artists are, once again, fully embracing the old style in a new way. Wall prints are more popular than ever before, often with geometric designs and 2-color palettes. Chairs, tables, and lamps are made which echo everything Art Deco would have represented a hundred years ago. Even architecture has come full circle. New buildings are using angles and edges made of steel and glass. The beauty might be debated with every new build, but the influence of the design is not. Unlike many design periods, Art Deco came but then never really went away again. Look around you every day and you’ll see something that has at least the light touch of Art Deco, if not the full effect. To find out more about Art Deco, read this great wikipedia article. Which Art Deco Style Engagement Ring on our website is your favorite? Tell us in the comments below.